Cola-flavored candy ranks pretty high in my top 5 favorite types of candy. Wonka Bottlecaps, Haribo Happy-Cola Gummi Candy, and Soda Pop Shoppe Jelly Belly jelly beans have been perpetual favorites. But… change is a comin’ around here and there’s a new kid in town. He’s shiny, long-lasting, delicious and named Cola Ball. Sweets4MySweetie, a retro and European candy shop in Canada, is chock full of ‘em. These fellows are fantastic! 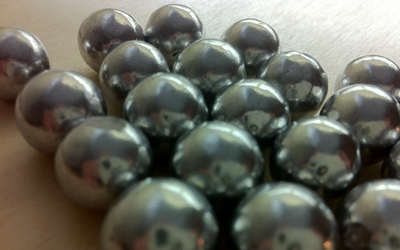 They’re round, silver balls that, yep, you guessed it, taste like cola. And, as if a long-lasting cola flavor wasn’t enough, as a bonus, they also look like ammunition. While I now enjoy this particular trait of cola balls, I was less than thrilled at first. Imagine my surprise when I opened a box of what I assumed was candy and found a nondescript baggie of large BBs! What’s better than chocolate? My face on chocolate! Or your Grandma, favorite pet, or company logo on chocolate. U Ougghta be on Chocolates is just the company to make that happen. The nice folks who run the company took a few of my cherished photos and presto magic- they’re now 100% edible! They look great -even better than in my photos here- and made a great impression with my extended family who was delighted by it. 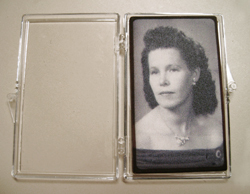 We talked about how my Grandma never would have imagined she’d ever see herself on a chocolate one day. I think I was the favorite grand-kid that day!